This year we will be continuing our Hire Program relationship with TaylorMade Golf and will provide the latest 2017 products in our rental bags. There will be options for M1 and M2 metal woods, M1 and M2 irons in Gents clubs and Kalea in Ladies clubs, with a variety of putters. If its just assistance with trolleys you require we have two options: 3-wheel push trolleys or electric PowaKaddy's. In addition we have 3 Electric golf buggies available for hire, you will be required to take a caddy to drive the clubs designated buggy route. 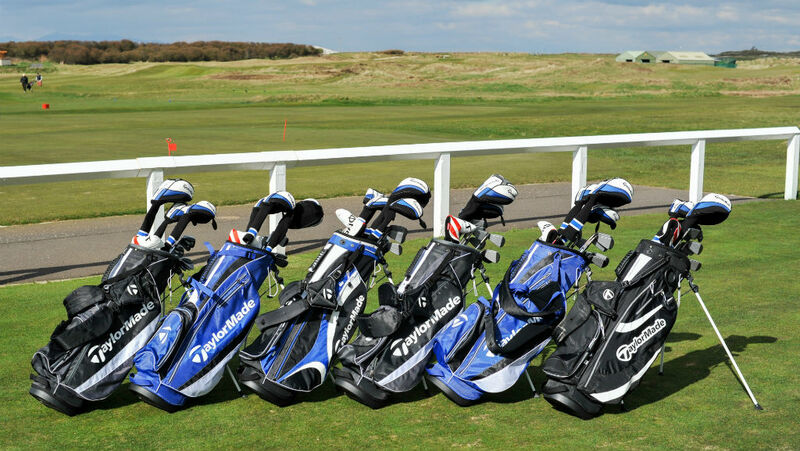 Please call the Pro shop on 01292 479483 or email golfshop@prestwickgcproshop.com to reserve these items.